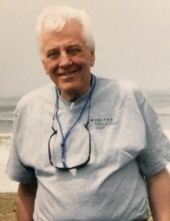 Celebrating the life of John Richard Kapelac Jr.
Obituary for John Richard Kapelac Jr.
John Richard Kapelac, Jr. passed away peacefully, comforted by family and friends after battling with respiratory complications, on March 30, 2019 in Spokane, WA. He was born on November 29, 1945 in Chicago, IL to Irene and John Kapelac, Sr. John was raised in the Green Bay, WI area and graduated from West De Pere High School with honors. He was an altar boy at the Catholic Church and an accomplished Eagle Scout. Ever since childhood, John dreamed of being in the Navy…he officially enlisted in the fall of 1964 and was stationed aboard the USS Compass Island. After serving during the Vietnam War, he moved to Phoenix, AZ where he started his long career in the car business, selling for Valley Dodge in the early 70’s. In 1974, he married Becky and raised two children through the 80’s, John III and Alana. In 1995, John moved to Spokane and opened Executive Auto & Truck Sales, where he was best known. John was always punctual, dependable, hard-working, had a huge heart to help people, loved the local theater and loved stamp collecting. John is survived by his sister, Cecilia Turriff of Green Bay, WI; brother, Sam Kapelac of Minneapolis, MN; children, John Kapelac, III and Alana Kapelac of Spokane; grandchildren, Zack, Cassie, Jordan, and Georgia of Spokane; and best friend (like a son), Michael Mihaylor of Spokane. He was preceded in death by his parents. A memorial service will be held on Saturday, April 20th at noon at Christ Church Spokane, 228 E. Gordon Ave., Spokane, WA. To send flowers or a remembrance gift to the family of John Richard Kapelac Jr., please visit our Tribute Store. "Email Address" would like to share the life celebration of John Richard Kapelac Jr.. Click on the "link" to go to share a favorite memory or leave a condolence message for the family.